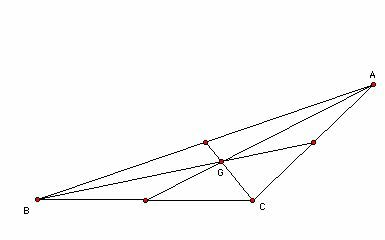 Let's look at the centroid of a triangle. 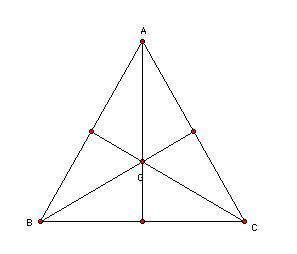 The centroid of a triangle is the common intersection of the three medians. 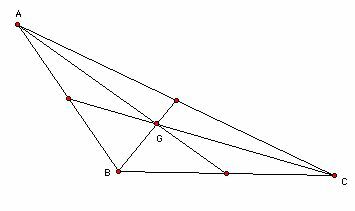 A median of a triangle is the segment from a vertex to the midpoint of the opposite. 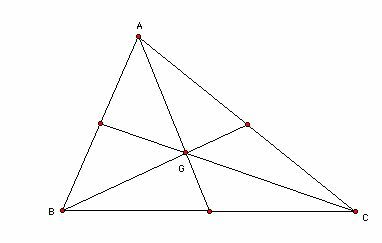 Let's explore its location for various shapes of triangles. 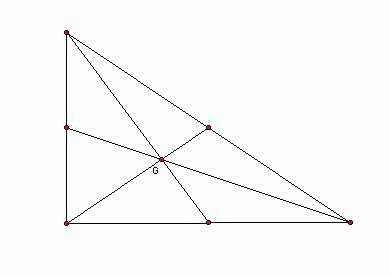 In properties of the centroid of a triangle, we can check two properties. 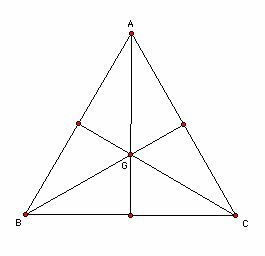 Second, the areas of the trangles GAB, GAC, adn GBC are the same and also the areas of the triangls GBD and GDC are the same.